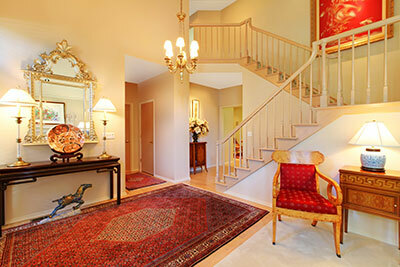 You can view a Persian rug as a mere object, or just another piece of fabric to cover the floor. 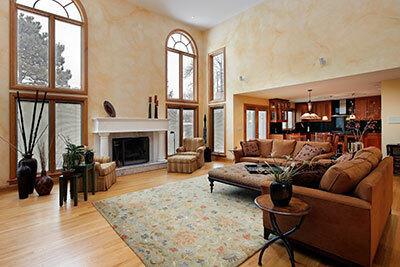 We, however, prefer seeing each Persian rug for what it is: a unique item with limitless value. 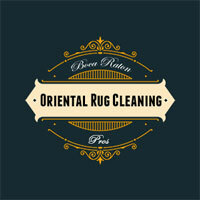 Therefore, every Persian rug we clean gets a highly-individualized treatment that best suits its specific condition. Before grabbing hold of water or cleaning agents, we'll first do a thorough inspection of the rug. When we say thorough, we really mean it – we don't just take note of obvious things like the amount of dirt or grime, or tears and holes. Instead, we go far beyond these plain factors: we want to know the rug's age, cleaning history, how many owners it has had, what it used to look like and more. This information might seem unnecessary or trivial, but trust us when we tell you it'll help us get the best results. Our cleaners could be called connoisseurs of Oriental rugs, and as such enjoy learning more about every individual rug before getting to work. After we have all the details, it's time to start the cleaning. In most cases, we prefer to dry clean Persian rugs first using a vacuum – this will make our job a lot easier later on and potentially increase the effectiveness of our work as well. That being said, it's not always possible to dry clean a Persian rug that's been around for a while – truly old rugs are incredibly frail and can get damaged even from a gentle cleaning method. Once we've removed all the dry dirt and grime, it's time to get the rug wet. Forget about machine washing – these methods are better-suited for rugs you don't mind replacing. Instead, we'll aim to wash every inch of your fine Persian rug by hand in order to minimize the chances of damaging the rug. While washing, we'll use slow and gentle movements ruled by methodical patterns instead of swinging wildly and hoping for the best – the health of your Persian rug remains vitally important to us from start to finish. Once the cleaning is done, we'll dry the rug using the best method: most often, this involves leaving it in a dry and ventilated place, as the sun can threaten to reduce its coloring. Once the rug is dry, we'll perform another inspection – while this marks the end of our work most of the time, we don't dismiss the possibility of missing something. If we do notice something we're not satisfied with (or if you feel we could have done a better job), we'll get right back to it and work until we produce satisfactory results. However long it takes us, you can count on one thing: being left with a perfectly clean rug that wasn't damaged in any way during the cleaning process.